I saw the 4th "Namie Amuro Namie's Last Confession" on January 20, 2019 (Sunday), NHK TV Heisei history scoop document. Even though I knew her brilliant achievement, I did not know deeply about the inner aspects of frustration, anguish and conflict, so today I knew about it again today, people sympathized with her way of living and I longed to adore I felt like I could tell the reason. Especially the following points felt interesting. ○ A scene where Namie Amuro said that he encountered Mr. Tetsuya Komuro at the age of 14 and was singing in a disheveled way so as not to derail from the layered rail, as he ran up to the top artists. ○ When married at the age of 20 and a child is born and it is about to start again after a maternity leave for one year, music that Utada Hikaru, Hamasaki Ayumi etc. colored the J-POP world, music telling the inner side of a singer-songwriter is accepted by the massacre , The scene that Mr. Komuro said that he was no longer dancing and the songs that heat up Mr. Komu's made was outdated music. I wonder if music becomes new or old with such a short span. The music that empathizes the masses may be influenced by the era of the times. 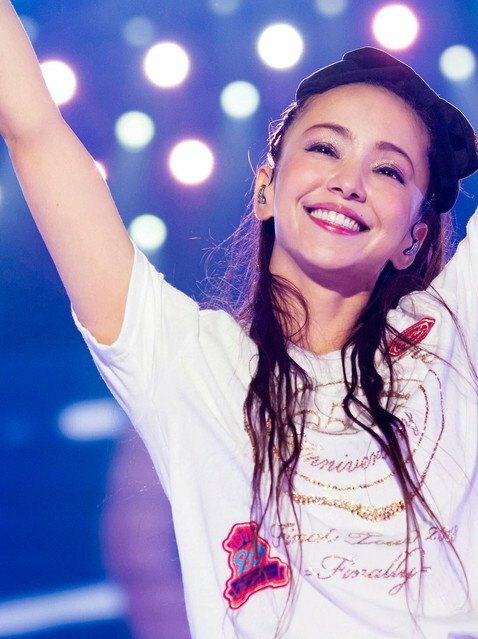 ○ Namie Amuro left the producer of Mr. Komuro and challenged not only singing and dancing but also songwriting and composition at the time of temporary popularity sluggishment, enjoyed the excitement and excitement feeling of making works, for the first time A scene that he said that I felt touched "music". ○ While entering the era of the Internet, sales of CDs are decreasing, turning their backs to the net, concerts chosen. I do not know if the song I thought was good would accept the masses as "good." What I was saying is scary. You can feel on the skin whether or not it is music that you accept as a concert. Even in the age of the Internet, there seem to be many young people who say that live is wonderful. The sales of the concert had risen to the right. I broke the vocal cords seven years ago and I felt the limits to the vocal cords. I want everyone of the fans to leave "Nami Amuro Namie in good condition" as a memory. As a fan, I think that I would like to keep it as a good memory. This is the reason why Namie Amuro has been supporting many music fans for many years. And it will become an unforgettable existence in any future time.